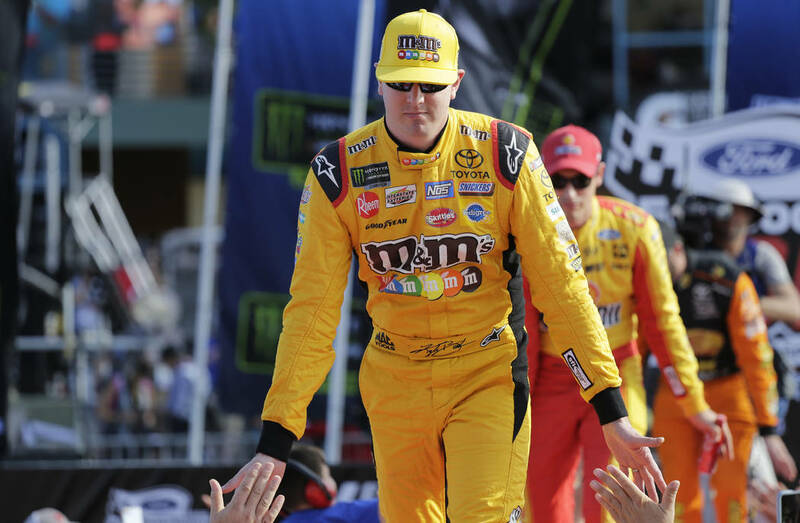 Kyle Busch had a season to remember in 2018 before suffering a day to forget, finishing fourth among the four drivers eligibile to win a one-race showdown for the NASCAR championship. If ifs and buts were candy and nuts, Kyle Busch probably would be enjoying Thanksgiving weekend a lot more. The Las Vegas racer had a season to remember in 2018 before suffering a day to forget, finishing fourth among the four drivers eligible to win a one-race showdown for the NASCAR championship in Homestead, Florida, on Sunday. Busch won eight races, had 22 top fives, 28 top 10s, led 1,469 laps and signed lots and lots of autographs. Under the old NASCAR points system, before stage racing and playoffs and a lot of whatnot, Busch would have won the championship with room to spare. A racing pal says I should get over it, that stage racing and playoffs and a lot of whatnot are here to stay. He’s right, of course. But there’s a guy named Shane Walters who keeps track of new points and old points. And as long as he continues to do so, it’s fun to look at the numbers, because a lot of NASCAR fans still don’t care a whole lot for stage racing and playoffs and a lot of whatnot. In a world without them, Busch would have sprayed sports drink in victory lane with 1,055 points followed by Kevin Harvick (983), Martin Truex Jr. (966) and Joey Logano (965), who drove around stock car racing’s so-called “Big 3” to win the race and the title in Florida. Add in stage points, and Busch still wins with 1,418, ahead of Harvick (1,378), Truex Jr. (1,264) and Logano (1,234). The only scenario in which Busch does not win the title is a one-race showdown. This is where it probably should be pointed out that were it not for playoffs, the 2001 Seattle Mariners who went 116-46, only to lose to the Yankees in the American League Championship Series, would have been crowned the world champs of baseball around Memorial Day. other sports need playoffs because the number of teams & schedule don’t allow them to play every team. In @nascar you race the same teams every week all year long that’s why a whole season use to determine a champion who could be challenged week after week til the end. Did you happen to notice that the four drivers who raced for the championship under the new NASCAR system would have been the same four under the old one? Makes you wonder if all the whatnot is even necessary. — Next week’s NASCAR Champion’s Week in Las Vegas is pretty much down to two days. With burnouts on the Strip and the popular “After the Lap” schmoozing session already having taken place before the playoff opener in Las Vegas, Champion’s Week essentially has been reduced to Wednesday’s Myers Brothers Awards luncheon and Thursday’s black tie awards gala at Wynn Las Vegas. Fans will have limited access to both events. More information is available at www.nascar.com/championsweek. Do you wanna attend @NASCAR NMPA Myers Brothers Awards @WynnLasVegas on 11/28 & the Monster Energy NASCAR Cup Series Awards Red Carpet on 11/29? — According to a Sports Business Daily report, International Speedway Corp. may be trying to acquire the NASCAR tracks operated by Speedway Motorsports Inc. (which owns Las Vegas Motor Speedway). Bringing all the tracks under the same umbrella would make NASCAR more attractive to a new owner, among other things. Neither ISC, owned by the France family, nor SMI officials are commenting. ➖ However, people close to SMI also noted that prez/CEO @MarcusSMI remains as active as ever.